HTC has pulled the HTC 10's Oreo RUU download and the update page for unknown reasons, and it doesn't seem like any HTC 10 owners actually received the update over-the-air. Back in August, HTC promised that Oreo would come to the U11, U Ultra, and 10. The U11 (and U11 life) have both received their Oreo updates, and the 10 is next in line. The Android 8.0 Oreo OTA is now rolling out to this 2016 flagship, and if you're on the impatient side, you can download the RUU instead. Like with any 8.0 Oreo update, you can expect to see picture-in-picture support, Autofill, notification dots, Instant Apps, and so on. This update carries the software version 3.16.617.2, and it should be starting to go out over-the-air right now. If your phone isn't showing the update and you're tired of frantically jamming the 'Check now' button, you can also download the 1.8GB RUU (clicking the link will start the download). Keep in mind that this will wipe your phone, so make sure everything's backed up. As an aside, the U11 is now receiving its December security patch with version 2.42.617.1. The 1.9GB RUU for that can be found here (again, clicking will start the download). Let us know if you've received either update. 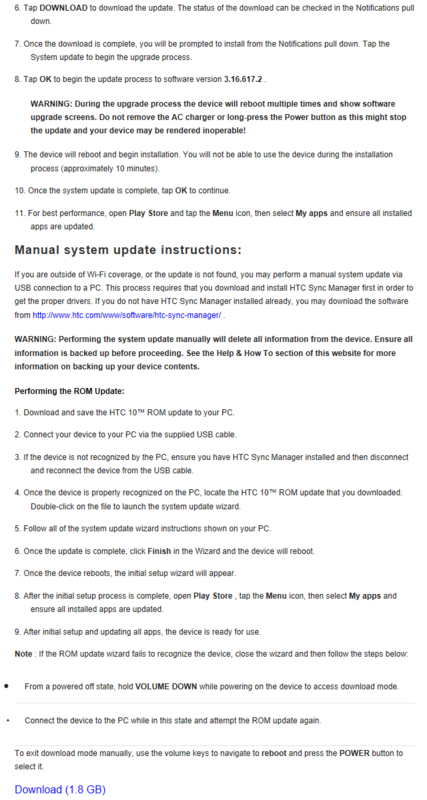 HTC has pulled the HTC 10's Oreo RUU download and the update page for unknown reasons, and it doesn't seem like any HTC 10 owners actually received the update over-the-air. 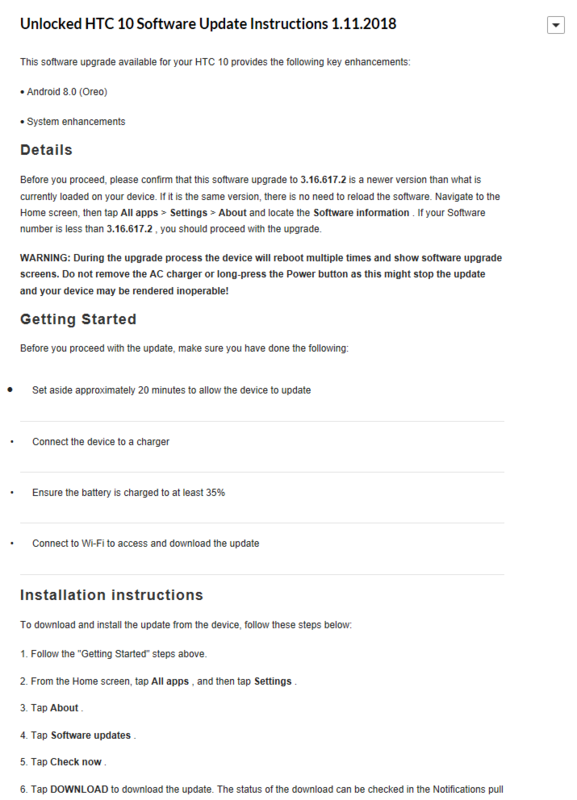 Apparently, the update caused a lot of confusion on forums, as the only people who could even install the RUU were those who had paid for Sunshine S-OFF, extracted the firmware from the RUU, and flashed the firmware itself. Thanks go out to Kevin for letting us know. HTC has reposted the update and download. We've verified that the MD5 is different in spite of the same file name, so it is a new RUU. It's also 0.07GB larger (1.87GB vs 1.8GB). Let us know if this resolves any issues you may have had with the previous version. 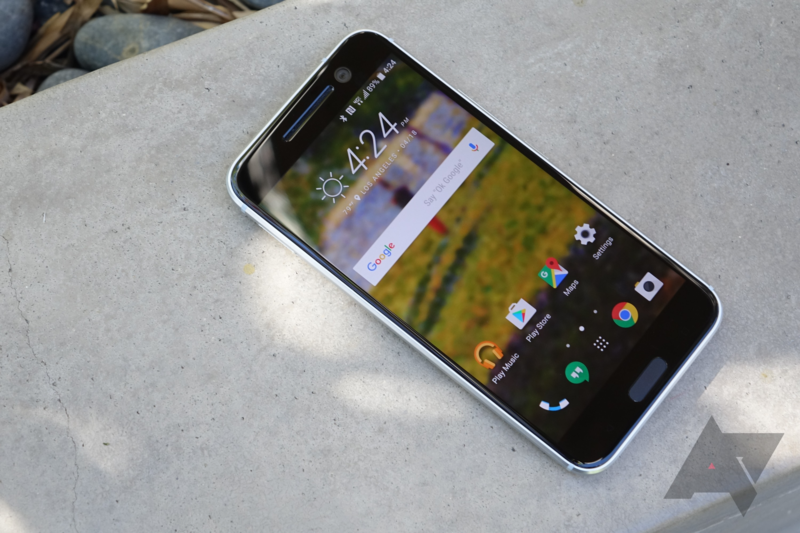 At long last, the OTA finally appears to be rolling out to the US unlocked HTC 10. We have multiple confirmations that it's finally happening. The update, which carries the same 3.16.617.2 version number, weighs in at 1.32GB. Don't be confused by the Spanish language on screen; the phone is a US unlocked model. Let us know if you've received your update yet.